Offering solid performance, and plenty of features, the AS530 is good proof that Panasonic is serious about fighting for contention among the leaders in the HDTV field. 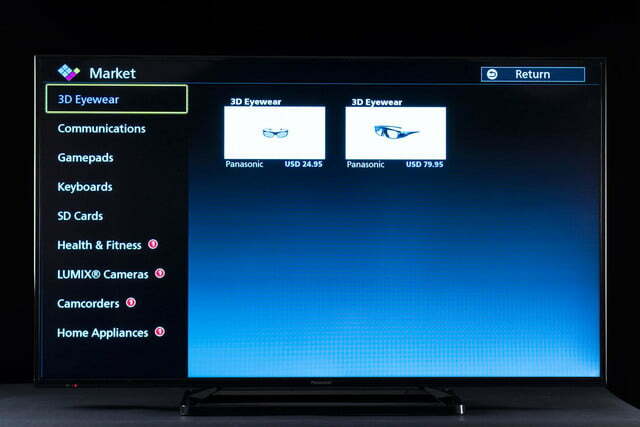 Panasonic AS530U series information: This review is based on our hands-on experience with the 50-inch TCTV. However, our observations also apply to the 39-inch TC-39AS530U, the 55-inch TC-55AS530U, and the 59.5-inch TC-60AS530U. 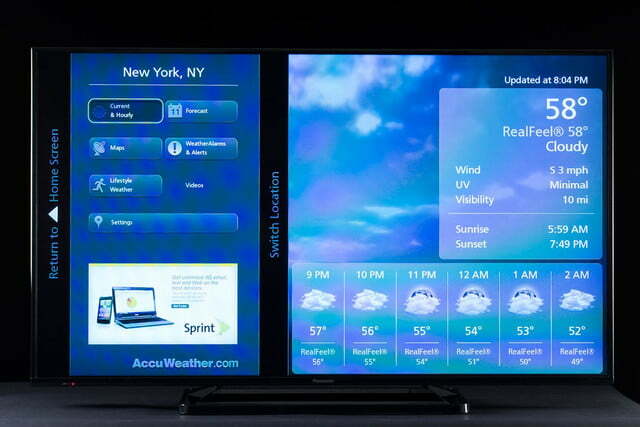 According to Panasonic, the three sets differ only in dimension and weight and offer identical features and performance. 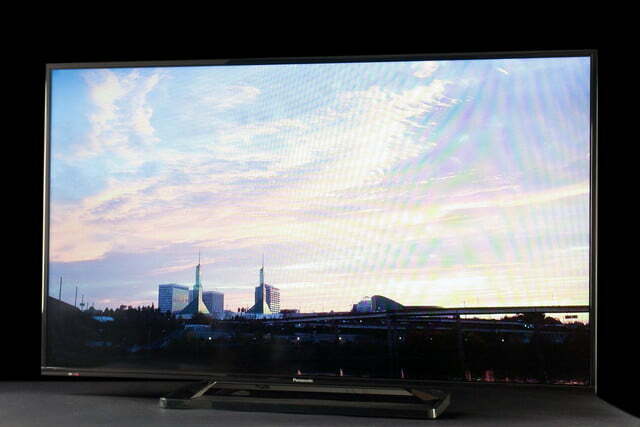 History aside, Panasonic’s immediate future rests on its new 2014 LED HDTV lineup, which launched with the AS530. The first of the company’s new Life + Screen series, the AS530 emphasizes value and performance, offering some enticing smart features from the company’s upper-tier models, without extras like 3D. 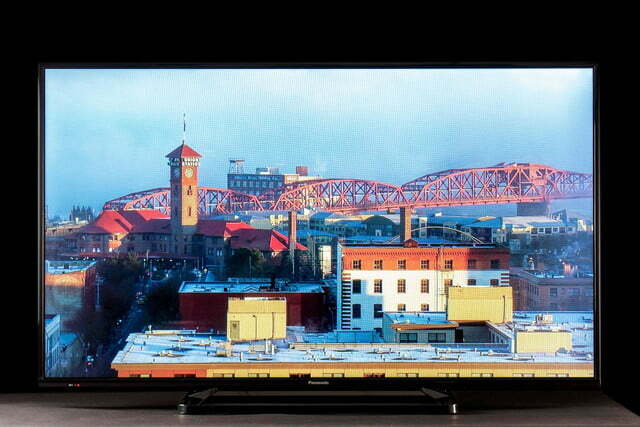 At $800 for the 50-inch model, the AS530 is no poor man’s display, but it does offer solid performance, and some enticing extras for the money. 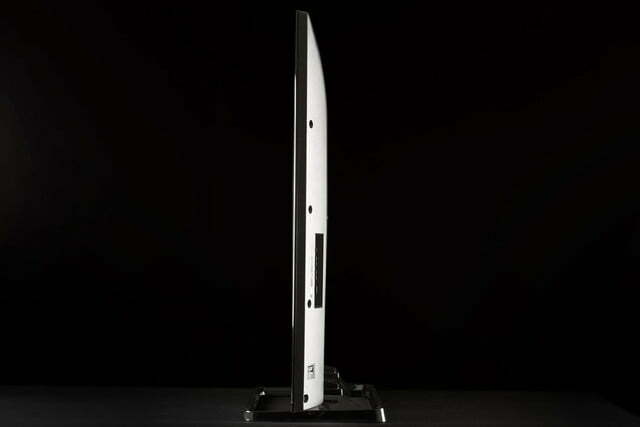 Follow us below to find out if that’s enough to earn it a place in your living room.After three years losing money, Japanese tech giant Panasonic saw an upswing into the black this year, partly attributed to the company’s decision to cut loose its plasma TV division for good. The move may have made economic sense, but videophiles like us still lament the loss of cinema powerhouses like its VT60 series, which provides phenomenal performance for the money. Pulling the AS530 from the box revealed a clean, simple-looking display, with a slim bezel and profile, accompanied by a very solid rectangular stand. Like most modern LED TVs, the main unit’s 33-pound frame was light enough to be easily removed from the box by one person, though we recommend partnering up to be safe. Setting the TV up on its metal stand was cake once we uncovered the accompanying screws, and we had the unit up and running in no time. Inside the box we found all the usual suspects, including the power cord and quick-start manual, the aforementioned screws and batteries, and a decidedly simple remote wand that did little to grab our attention. 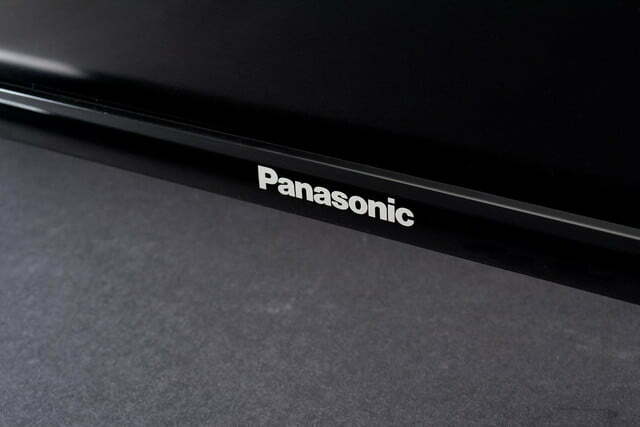 While not a standout of form and design, Panasonic’s new model cuts an elegant profile that looks very similar to the company’s forthcoming AS650 series at a glance, although without the shimmering chrome exterior. The TV’s 2-inch depth is plenty thin, yet it feels very well built, and the glossy sheen along the front face adds a nice touch of panache. 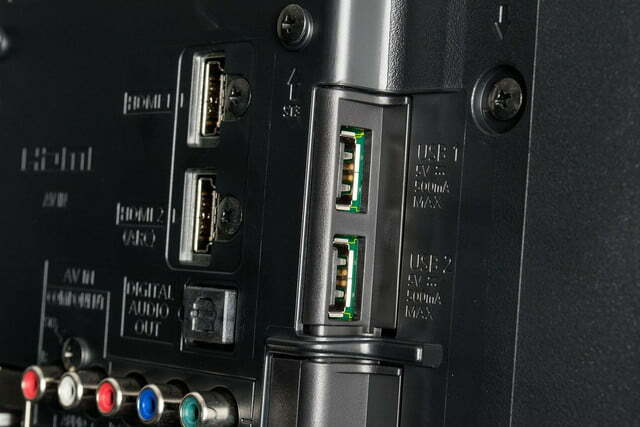 We were disappointed to find only two HDMI ports – a scant number these days, even for entry-level models. The AS530’s feature set balances precariously between a budget and a premium offering, packing a potent punch of features here, while cutting a corner or two there. 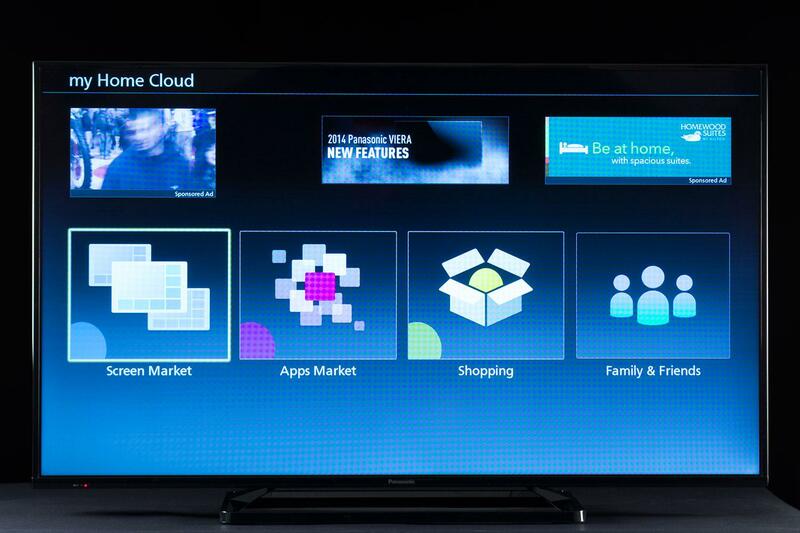 For instance: We were disappointed to find only two HDMI ports – a scant number these days, even for entry-level models. 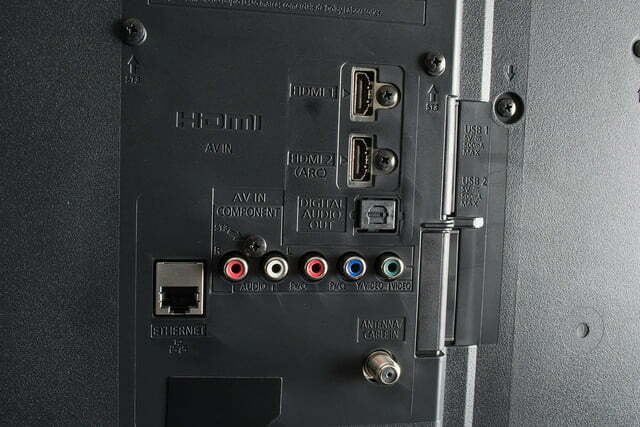 Depending on how you use the TV that may or may not be a big deal, but those with multiple game consoles, supplemental sound systems like a sound bar (a near necessity here in our opinion), and a cable box will likely find the selection lacking. Other connectors include two USB inputs, a component/composite input, an Ethernet port, a coaxial input, and a digital audio output. 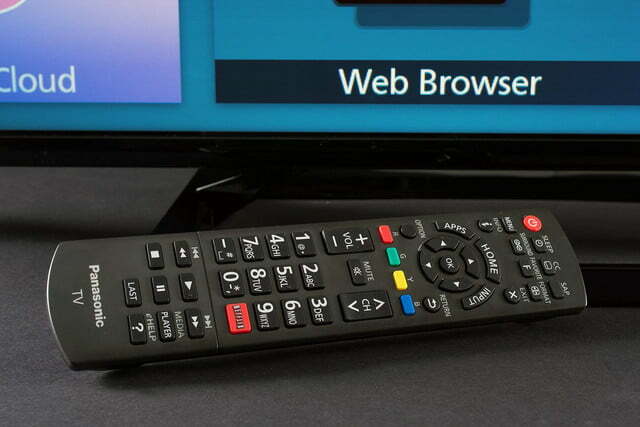 We were glad to find ARC included on one of the ports, which allows for more audio connection options, and enhanced Consumer Electronics Communication (CEC) support for using the TV’s remote to control other devices. The AS530’s vanilla remote control employs IR blasting as opposed to Bluetooth, with no backlighting or touchpad control like you’ll find on mid-tier competitors in this price range, such as Samsung’s older PNF5500 series. However rudimentary, the key layout is fairly intuitive, with all the basics like volume, channels, and power keys where you’d expect, easy access to the Netflix button, and a prominent display of the Home, Input, and Apps keys. If you misplace the remote, basic on-board controls can be found on the back right side of the panel, in a simple five-key arrangement. 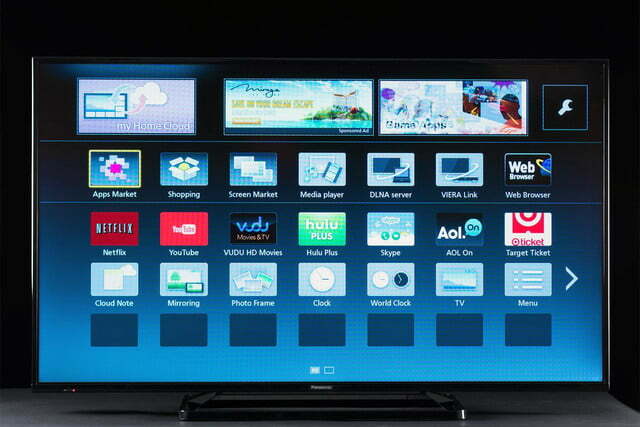 There’s a lot to like about Panasonic’s latest smart TV interface, which has been revamped for the new lineup. Powering on the TV for the first time presents a speedy setup to get things rolling in minutes. You can then choose between three basic Home screens, or create your own, adding widgets, personal videos and pics, and the usual array of basic streaming apps. However, we found the layout a tad pedestrian, and navigation via the remote’s arrow keys isn’t very fluid. Panasonic’s “TV Remote 2” controller app works with both iOS and Android devices, unlike some competing brands that communicate solely with their own hardware (we’re looking at you, Samsung). It took us awhile to get TV and app to communicate over our Wi-Fi network, but once connected, a flood of options opened up, including using our phone as a fully functional remote control, a mirrored Web browser (slow but workable), sending photos to the home screen from away from home, and our favorite, the ability to share media through Panasonic’s Swipe & Share feature. Swipe & Share allows for wirelessly casting of videos, music, and photos from your phone. The actual swiping portion took us a moment to perfect – you really have to chuck those files – but it was pretty handy once we got the hang of it, especially for pictures. Sending a single photo makes the whole album available on screen as a slideshow. We noted a few hang-ups, including some iffy resolution with bad shots, as well as a super cheesy loop of background music, but we were able to shut down the latter with the options button – a key point to know, since the AS530’s owner’s manual doesn’t cover it. The setup Menu is stocked with plenty of options, on par with what you’ll find on most mid-tier sets and above. For picture adjustment, the TV includes quite a few extras like Motion Picture Setting, a motion enhancement designed to push smooth motion, as well as other digital tricks such as Vivid Color, Adaptive Backlighting, Contrast AI, and more. As usual, we proceeded with most of those image enhancements disengaged, though the TV intuitively shut many of them down for us when we chose the Cinema option from its five Mode choices. We were happy to discover we could set our adjustments across all sources, and the TV also kept our place from the last setting adjusted, which was a handy time saver. You can find a full list of our settings preferences at the bottom of this article. After spending ample time with the AS530, the TV showed its mettle as a solid contender, performing admirably across the board. Testing a variety of sources, we were treated to plenty of HD goodness, with sharp, clear imaging up close, good screen uniformity and color accuracy, and impressive performance in the darkest corridors of our favorite flicks, especially for an LCD display. We began our evaluation with one of our toughest test subjects, Prometheus by Ridley Scott. Right from the first pitch-black cave scene, we noticed a relatively uniform image along all of the display’s corners, with just a bit of backlight flare toward the bottom right, and a muted band of dark grey along the left border. Following the troop of alien hunters further into the dark, we saw little of the halo effect you often spot when bright lights meet black backgrounds on LCD displays. Although images got a little crushed in the darkest corners, we enjoyed plenty of detail, easily making out the background and walls in scenes like David’s discovery of the alien cockpit. The lens flares featured so prominently on the vibrantly lit bridge of the Enterprise were brilliant and beautiful. The AS530 also did pretty well when it came to handling motion judder, flexing its 120Hz refresh rate. We noticed a few moments of the queasy shuddering that plagues so many of its peers, evident in scenes like the fly-over above the Nordic peaks at the entrance of the film, or chaotic camera work, but for the most part, it was a non-issue. Moving on to another go-to selection in our catalog, Star Trek Into Darkness, we continued to enjoy the display’s performance. The lens flares featured so prominently on the vibrantly lit bridge of the Enterprise were bright and beautiful. We were able to clearly see right down to the pores of the crew’s skin with ease, and the flesh tones looked relatively accurate and realistic. We couldn’t quite tame the over-saturation of the colors when Jim and Bones jump from the intensely alien red landscape to the aqua ocean below, but then again, it’s a pretty dynamic scene. 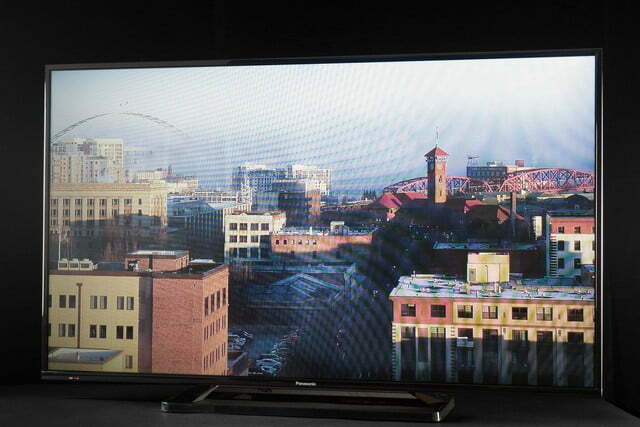 One issue that gave a budget air to the AS530’s performance was its poor off-axis viewing, which was right in line with most TVs we’ve seen at the lower tier, fixed at dreadful. Colors seem half as vibrant from the side or even standing up, and black backgrounds turn quickly to grey when you leave dead center. 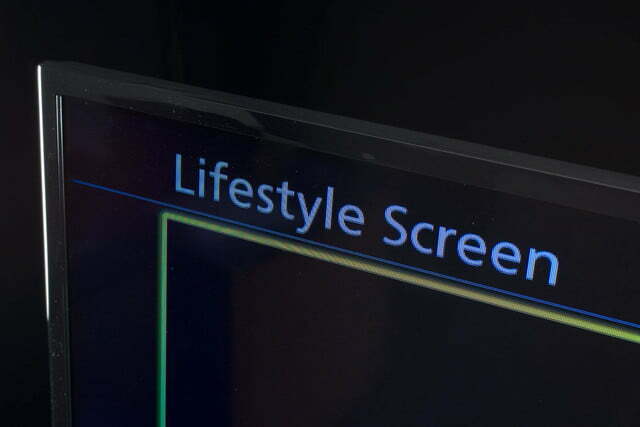 Still, these are standard hassles in most any LCD display, unless you step up to premium models. Even for a flat screen, the AS530’s audio performance was below average. The issues were subdued in most scenes from the sci-fi flicks we referenced above, but when we turned to the rattling gunfire of action movies like Skyfall, we felt as if as if the machine guns were amped up recordings of crumpled cellophane. Then again, if you care about good sound, you’ll likely already have a stereo system, or supplemental sound solution in place. Flat screens just don’t cut it when it comes to quality audio. 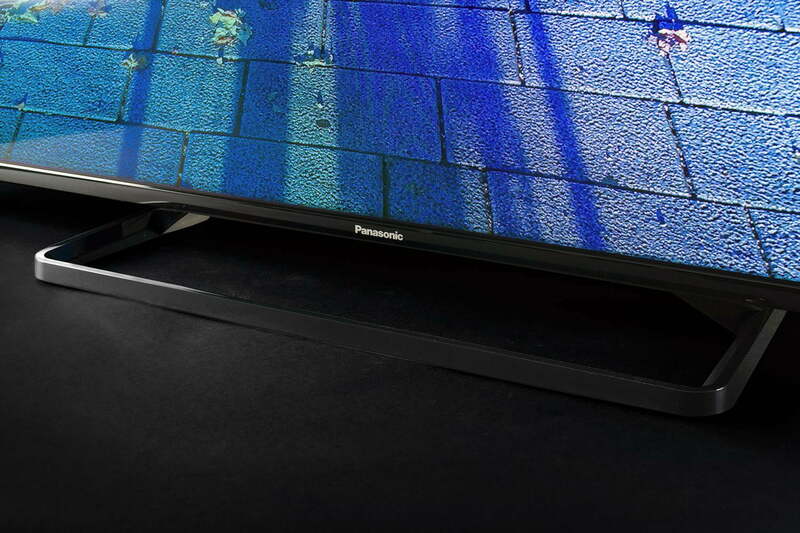 With solid performance, and plenty of features, the AS530 is good proof that Panasonic is serious about fighting for contention among the leaders in the HDTV field. We hesitate slightly due to the TV’s price; competitors offer older models that throw in some extra amenities for a similar dollar amount (again, see the PNF5500). Still, we think the AS530 will likely see a price drop once that new-TV shine wears off, and regardless, we’ve reviewed plenty of LED displays that don’t hold up as well in the dark or light, making the AS530 a viable choice to add to your list.